Google has recently announced that it will penalize all the sites having pop ups or interstitial pop ups on mobile site. 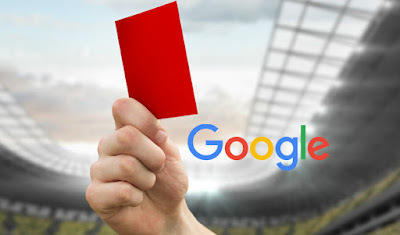 This is because Google wants to improve users experience on mobile site. So its time to remove all the pop ups whether it is an ad or it is like button or a news letter pop up window. "pages where content is not easily accessible to a user on the transition from the mobile search results may not rank as highly." Though you can add some slide out with a close button or you can just simply add your ads or widgets in your mobile site but pop up is not allowed. 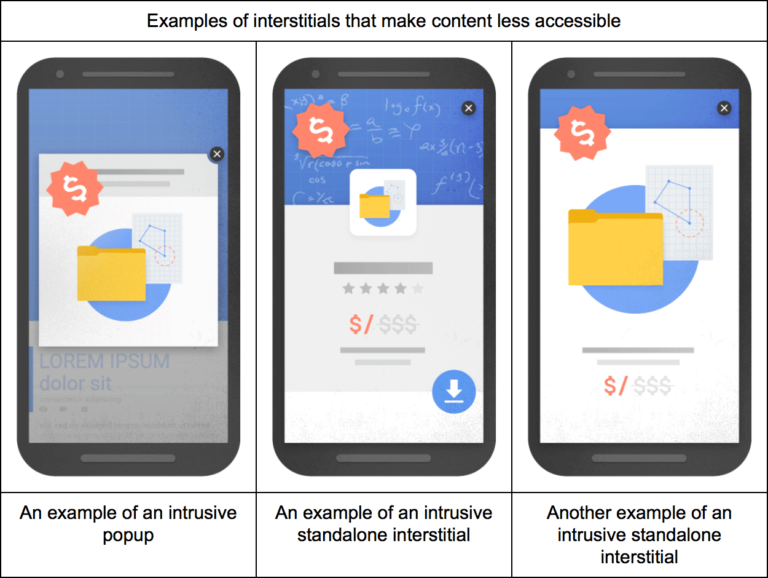 Google will start penalizing sites having interstitial pop ups by January 10, 2017. 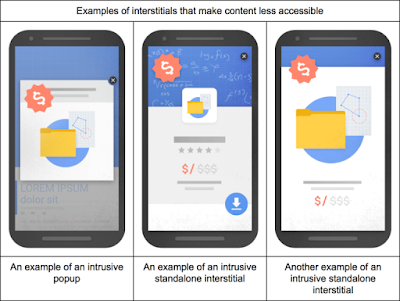 Google explains which type or interstitial pop ups are not allowed and will lead to penalty. 1. A pop up that covers the main content of page, whether it is shown when the uuser enters the site or after some time is spent in the site. 2. An interstitial pop up that visitor has to close before reaching the main content. 3. A layout in which above-the-fold portion of the page appears similar to a standalone interstitial, but main content is below the fold. 1. Interstitial pop up telling that the site is using cookies. 2. Login in or signup dialogs to reach the content on a site. 3. Banners or ads which covers only a small area of page for example a slide down ad from above down or from below up. 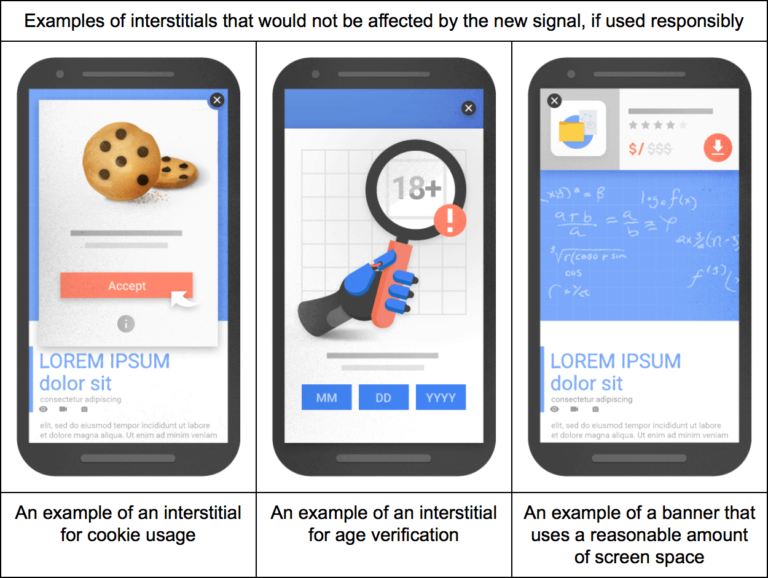 So its highly recommended to remove all the interstitial pop ups which will lead to penalty and lower your site rank. Hope you like this post. Share it with others and help them to beware of this penalty. Thanks for visiting 101Helper! What about the addthis email abo popup?